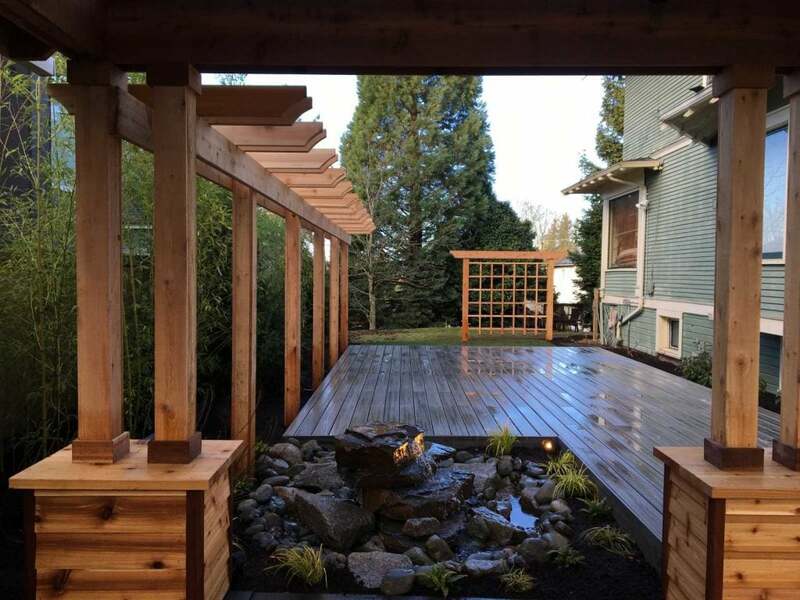 A new garden structure looks out past a small water feature to the deck- a great place for yoga! i agree that it is the best spot to look at the water and do yoga. Looks so inviting! Do water feature like this one last awhile? This is amazing! Love your work! Your work is so clean! What type of wood did you use? This looks so elegant! How can I get a similar look? This is gorgeous! I would totally do my meditation next to this, the running water would be super soothing. If I wanted to create something similar, how would I do that? I love how elegant and relaxing this look is. Perfect place to have holiday parties! Do you have other types of water features that you offer? Looks well polished and welcoming design to have a social gathering!